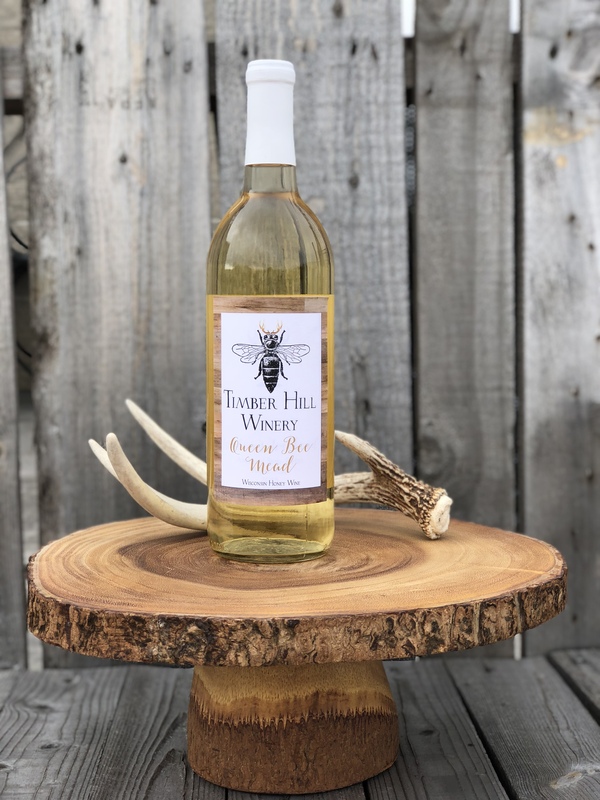 We are excited to announce the first release of Timber Hill Winery’s newest wine – Queen Bee Mead! This is a sweet wine made with pure local honey, vine fruit, and herbs. The Rock County honey will remind you of the Wisconsin farm it was made on, while subtle notes of elderflower tickle your tongue. Working to identify new ways the winery can support local agriculture is important to us, so being able to depend on our local humble honeybees was a neat way to keep our varietals Wisconsin-made. Our mead was produced with a lusciously sweet taste and we can’t wait for you to stop in and taste it yourself. Bottles of Queen Bee Mead will soon be available to all customers but is ready for Herd Wine Club members to purchase and taste today. Queen Bee Mead was released on Saturday, March 3rd to Herd Wine Club members. Herd members are a part of our winemaker’s newly released wine events. Members also receive first access to taste and purchase our new varietals and specialty wines. The all-inclusive monthly membership is made especially for those who want to build a relationship with our wines and the Timber Hill Winery community. Starting in April, the tasting room will be open at 11am, Thursday thru Sunday. Until then, stop in and see us on Saturdays and Sundays from 11am-5pm and check back here for announcements on future wine releases from Timber Hill Winery!